We’ve finally entered the future where touchscreens are a normal, everyday sort of thing. Which is totally great, but your finger isn’t great for every function that you may want to perform on your tablet, specifically if you’re trying to art it up. 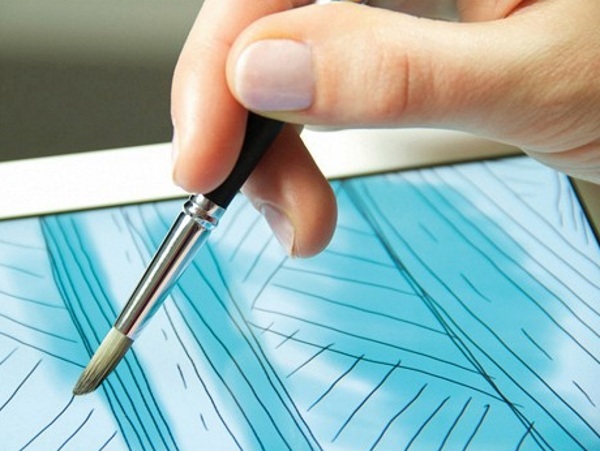 Check out the Sensu brush and stylus if you want to make a more artistic impression with your tablet. The Sensu is a combination brush and stylus that lets you paint digitally but with the feel of using traditional mediums. This is great for artists who are looking to create more realistic pieces digitally. Although this does contain a stylus that you can use, the real show is the brush attachment that lets you paint on a touch screen. Obviously, this works best with painting and drawing apps to get the most of them. You won’t get that brush stroke look with just any app. The brush is also weighted so that it feels like a real paintbrush in your hand. If you like doing digital art, the Sensu is $39.95.